Cob Gallery is proud to present New Work Part III: Subject. The exhibition is the third instalment in a series of group shows programmed across 2018. 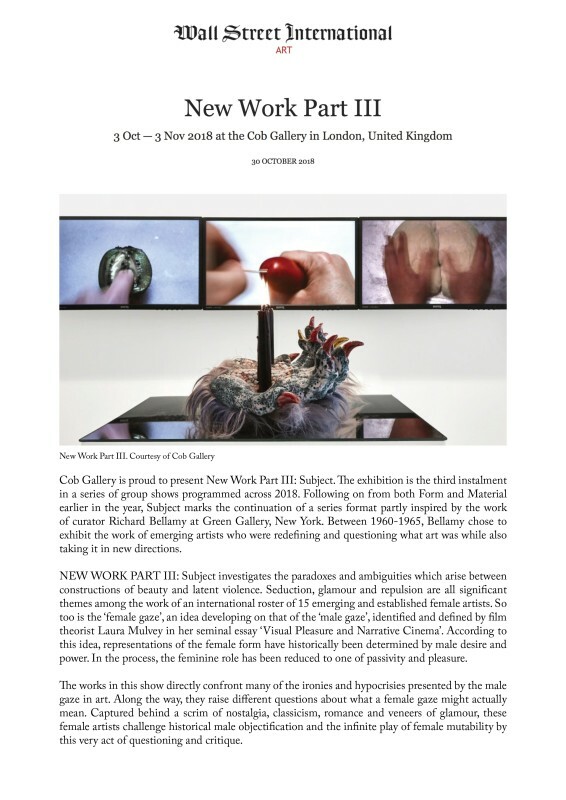 Following on from both Form and Material earlier in the year, Subject marks the continuation of a series format partly inspired by the work of curator Richard Bellamy at Green Gallery, New York. Between 1960-1965, Bellamy chose to exhibit the work of emerging artists who were redefining and questioning what art was while also taking it in new directions.